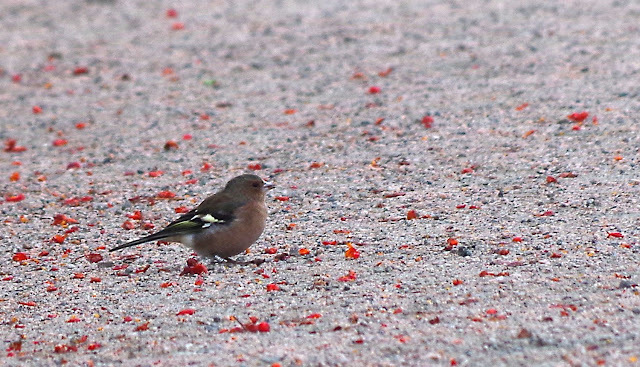 You almost never see any chaffinches in the summer. Now, they are everywhere, especially where there are rowans. Naturum Hornborgasjön, Broddetorp, on October 8, 2016. Pentax K50, ISO 800, 300mm, f/9, 1/320.